Moving is stressful and complicated, and it's easy to forget important things - stuff that can cause last minute panic. So de-stress your move, make sure you've done everything you need to do on moving day,and before you say goodbye to your old home. In all the moving mayhem, it's easy to forget some essential tasks. Do another walkthrough of the entire house to make sure everything is packed. Check the closets, the drawers, the cupboards, the garage, and the attic to make sure you haven't left anything (or anyone!) behind. In a rush to pack and move, it's easy to forget to pack the bathroom drawer or that storage space in the kitchen. Check every space and corner no matter how much time it takes. You need to check every window and door to make sure your home is secure. Make sure all windows and doors are closed and locked, including the basement and garage. This can be done in combination with checking each room. Even better, have one person check for things that need to be packed last minute while someone else checks the windows and doors. Depending on the time of year, make sure the temperature of the house is set so that it won't freeze in winter or be roasting in the summer. Similarly, you also don't want the new owners to receive an extremely high heating bill in the middle of July because you accidentally left the heat on. To avoid frozen pipes, In winter, make sure the water is turned off if the house will remain empty for a while. Check with your real estate agent or landlord; usually, they'll take care of this for the new tenants or owners. I once had a landlord who always forgot to clean out the refrigerator. By the time I moved in, the place smelled of rotten food. It took me a long time to get rid of the smell. So be sure to remove garbage and get rid of items that you don't want to move. 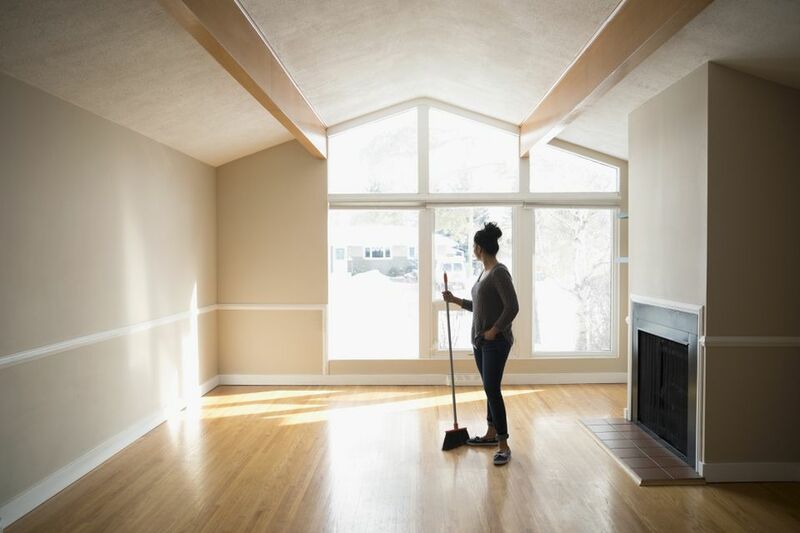 After the movers leave or the rental truck is on its way, make sure you go through your old home one more time and clean anything that became dirty or scuffed during the move. This may mean mopping the hallways and stairs or sweeping floors where the furniture used to sit. Cleaning is essential if you've been renting your place and wanted to get your damage deposit back. Make sure you've collected all the keys from every household member then leave them on the kitchen counter for the new homeowners. Remember also to leave the garage door opener, too. That's one thing that most people forget to do! I always appreciate when a former homeowner leaves me a welcoming note with any last minute instructions that they think I might need, such as how to jiggle the back door lock so it opens, or when the next garbage day is.